Massive congrats to Quiksilver's Kanoa Igarashi on taking his first QS win at the ASP 1-Star Shoe City Pro in Huntington Beach, California (Saturday 4th Oct). Kanoa was on fire throughout the event on his home break, defeated rival local Chris Waring (USA) in a sunny, 3-5ft offshore day, here's what the champ had to say. ""This is the one place where I would have loved to win my first QS event, so it’s funny how the stars align like that. I’m so stoked on getting this result, there’s really no other feeling like winning an event. I feel like I’ve been surfing pretty consistent lately and to get this win towards the end of the year just tops things off. 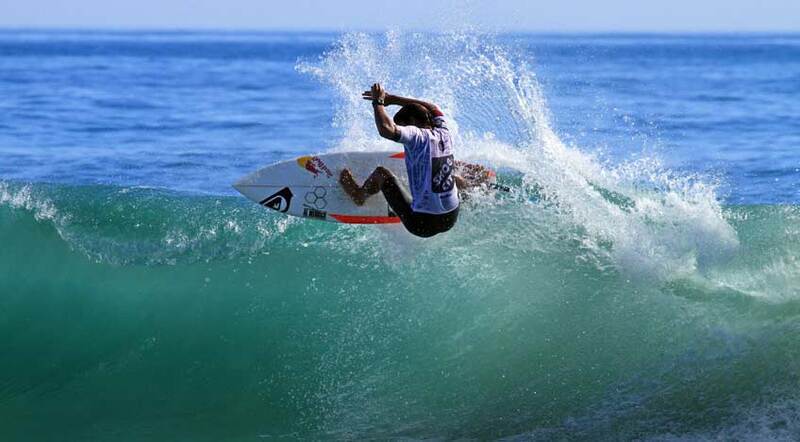 Surfing against Chris (Waring) in the Final was awesome. I’ve looked up to him ever since I was a little kid and this is actually the first time we’ve had a heat with each other. He was the one guy I wanted to surf against throughout the event, so it’s crazy how everything came together in the end."